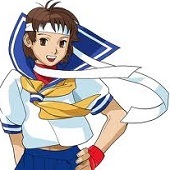 I remember the first time i saw Sodom on the Street Fighter Alpha series i was like “WTF is this?”. 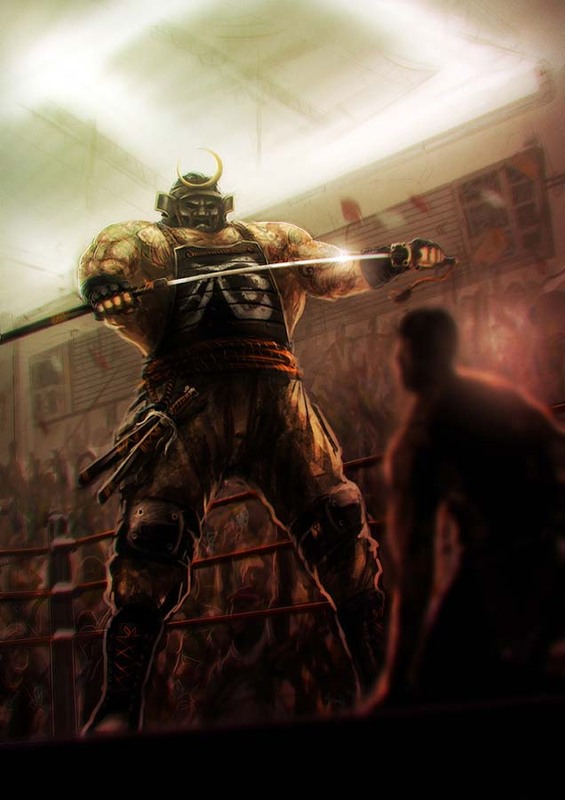 He’s a huge-bushido-fanatic-american-wrestler so i imagined him as an ex-marine who sees himself as a true samurai, keeping his honour by fighting as a pit wrestler. 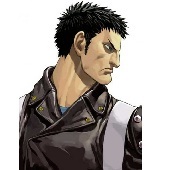 I found really funny that Sodom doesn’t know japanese at all, that really makes him a interesting character. I think i chose Sodom for two reasons: He was a quite enigmatic boss level in Final Fight, and really needs a redesign. I kept his symbol on his chest besides the orange colour on his clothes but also added some ex-marine gear. 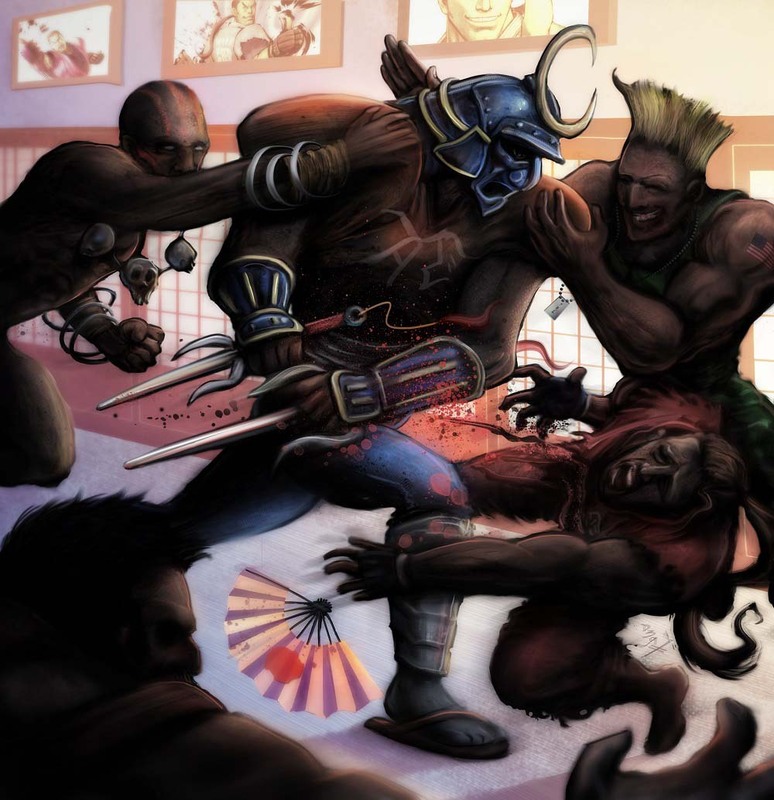 Sodom’s an interesting character, an american samurai in jeans and sandals! 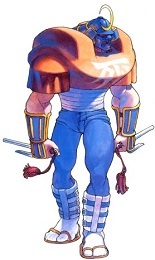 He can be found running around the Mad Gear hideout being chased by Haggar in the new SF X Tekken, very amusing! Underneath the tough guy armor, i bet he’s just big kid trying to fit in but has trouble gaining acceptance into social circles. Sodoms bulky armor makes him look sorta like an NFL Linebacker to me, I wanted to depict him and the supporting characters in a scene similar to what you’d see during a Quarter back sack. Dan is our victim QB whose made the terrible mistake of putting his hands on Sodoms sacred Akomeogi (fan). The end result turned out slightly dark and gory but the offbeat humor should provide some balance.